Garage areas are often filled with clutter, different tools and basically that is not usually used, is sent into the garage. Even outdoor shoes and toys are also placed in the garage. Our tendency of over buying leads to overcrowding our homes and this usually leads to accidents,especially when your garage is small but is filled with everything from tennis balls to power tools. 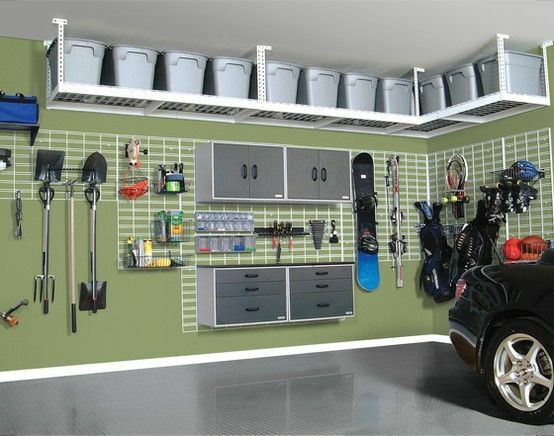 Help keep your garage safe and organized with these amazing garage storage ideas. 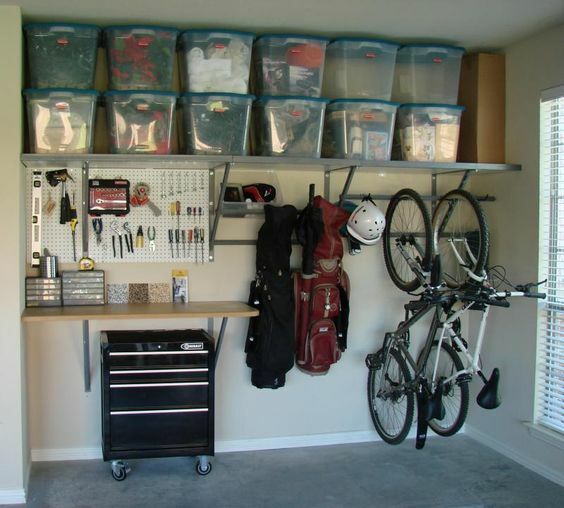 These easy-to-do bike storage ideas can be placed in your garage to save some extra space. 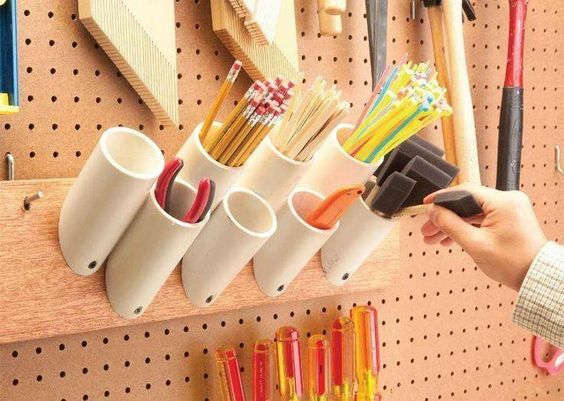 You don’t have to worry about where to work and where to place your tools. 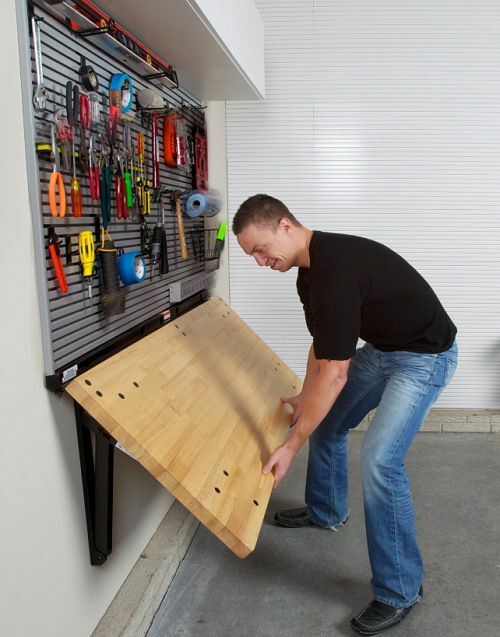 This wall-mounted workbench enables you to hang your tools on a board that comes with the foldable workbench. 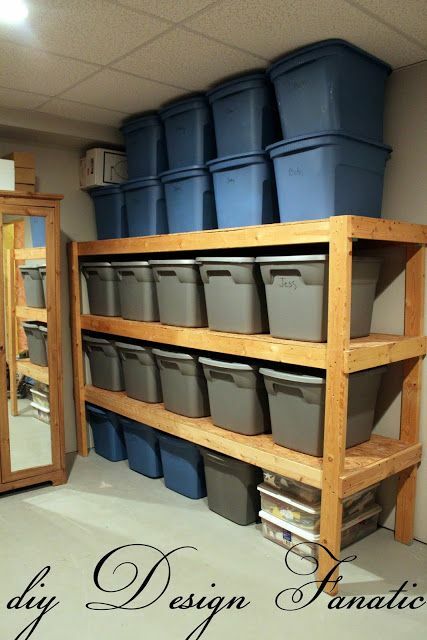 Here’s how you can make a mudroom storage area in your garage to keep the clutter safely away. You can create this ceiling storage area where you can place lighter materials into individual storage , obtaining a more organized feel and avoiding clutter on the floor. Hang unused cords, ropes, wires or any other long material you have individually to avoid getting it tangled to one another. Cut some PVC pipes and then nail them on the ceiling. 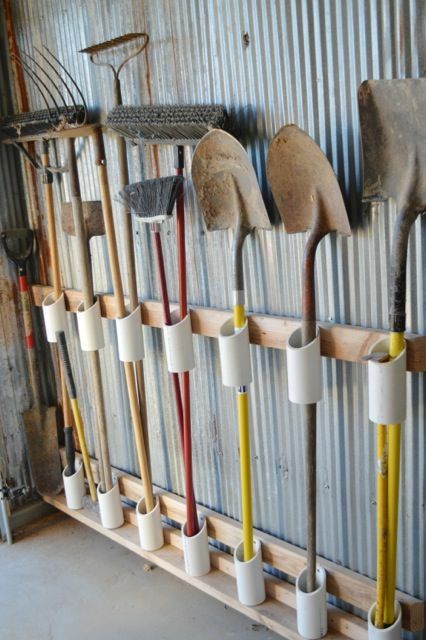 This gives you a good and safe space to keep shovels, rakes and anything long. Create shelves and then place everything in individual bins. You may want to keep same stuff in the same bin so label it to avoid chaos. And then of course, keep the heaviest on the lowest part. 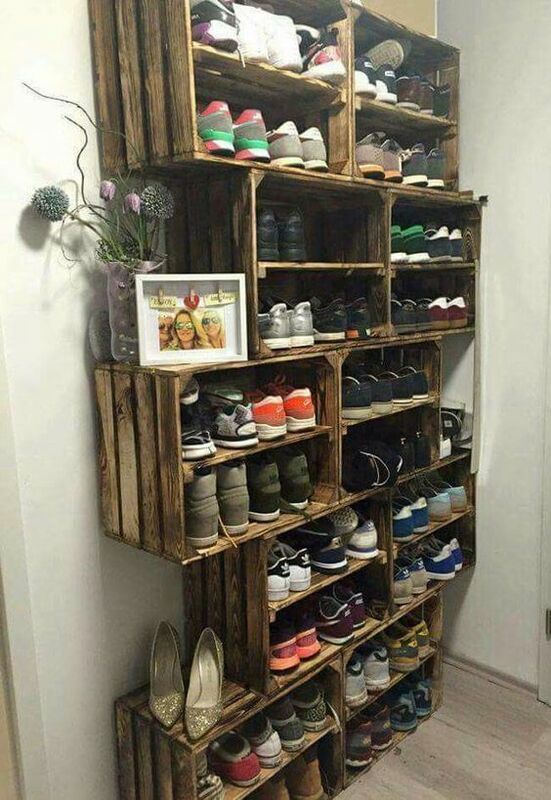 You can create storage shelves for your outdoor shoes and additional resources and place them on your garage area. This is great for outdoor shoes and somewhere outside your alternate exit. 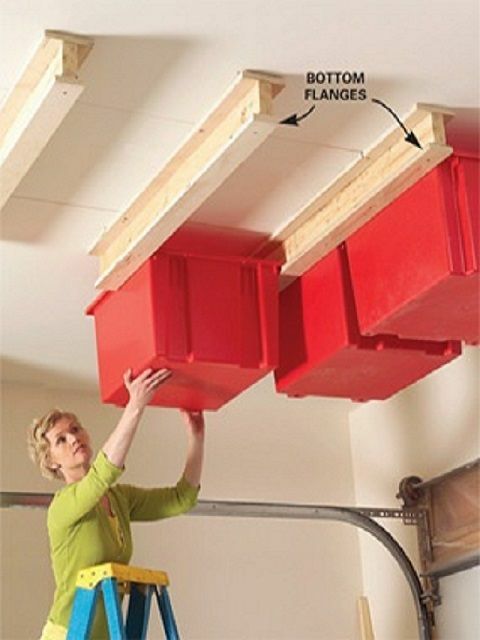 When doing this, you have to make sure that it is entirely safe and don’t place heavy objects on these storage bins. 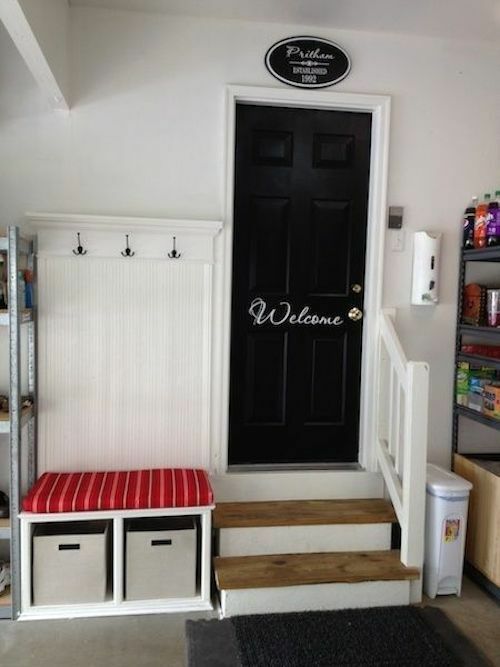 This may be the best idea if you’re garage area is not that big. Keep everything in one place if possible through this arrangement. This wall-mounted foldable workbench is close to the pegboard so it is easier for you to get your tools. Plus, you can fold it back after working to save the space. 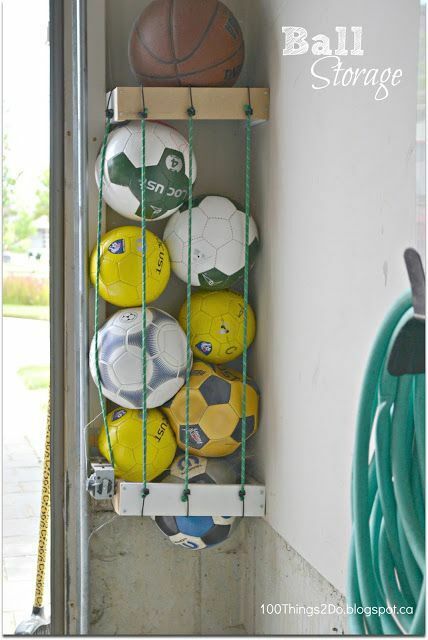 Save space and avoid having balls scattered around the place by creating this efficient ball storage idea. Here’s how you can store your lawn mowers or snow blowers away for the season. 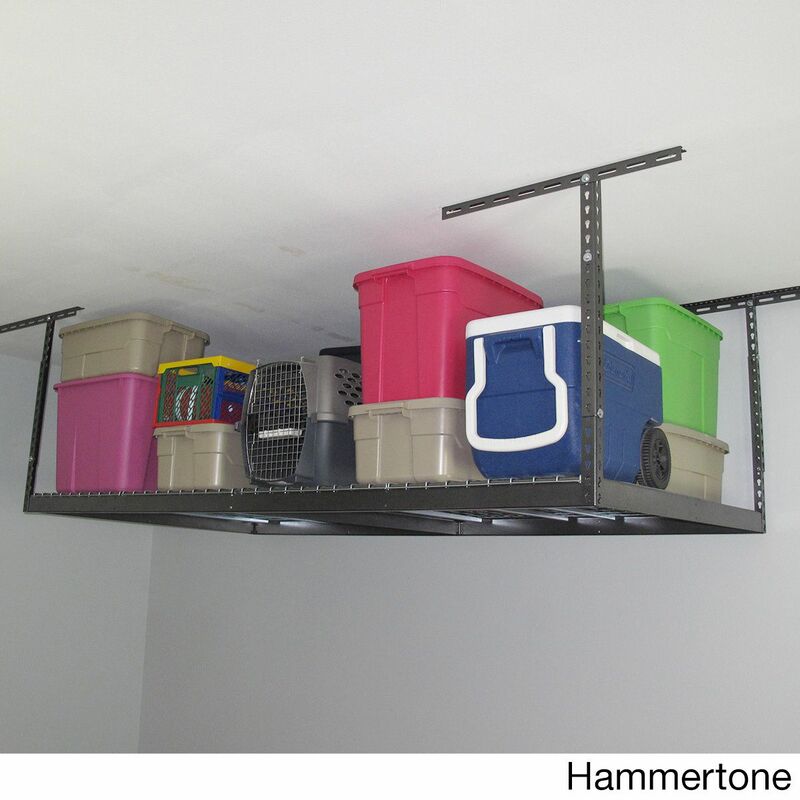 You can also buy steel overhead storage areas to help when there’s not enough space in your garage. This is an easy way to store every cordless power tool you have, making it easier for access and keeping them out of the reach of children. Here’s an overall look of a small-spaced garage. With this space-saving idea, it now looks wider and more organized. 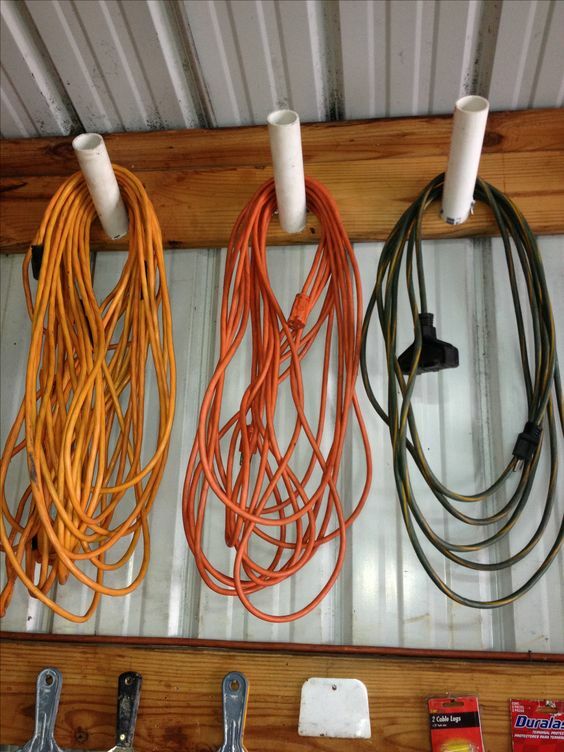 Do you own a well organized garage or is it a mess all the time? 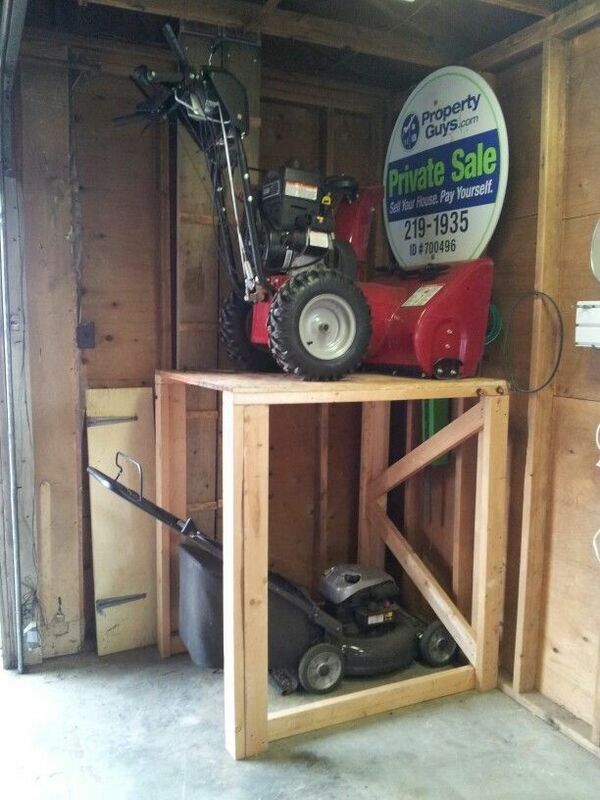 Feel free to share your garage storage ideas in the comment section below.